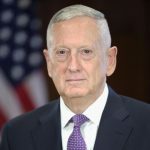 Defense Secretary James Mattis has told lawmakers it’s probable that federal officials will file criminal charges as part of an ongoing investigation into a series of contracts the Army issued to help establish security forces in Iraq and Afghanistan. The contracts were supposed to be used to help those nations build their own intelligence gathering capabilities, but audits thus far have pointed to tens of millions of dollars in potential fraud connected to at least one vendor, including for luxury vehicles and six-figure salaries paid to its employees who performed no discernible work. The ongoing criminal investigation involves a series of agreements, beginning in 2007, that wound up costing $458 million. According to an audit the Special Inspector General for Afghanistan Reconstruction published in July, the lion’s share of those funds went to a single subcontractor, New Century Consulting (NCC). But SIGAR concluded that because of poor recordkeeping and a reliance on vendors to grade their own performance, it’s almost impossible to determine whether the contracts’ objectives were ever met. The latest development in the years-long “Fat Leonard” Navy contract corruption scandal is a guilty plea by an active-duty U.S. Navy commander in connection with his efforts to obstruct a federal criminal investigation of the owner and chief executive officer of a multi-national defense contracting firm headquartered in Singapore. The plea was entered last week by Bobby Pitts who served as the officer in charge of the Navy’s Fleet Industrial Supply Command (FISC) in Singapore. 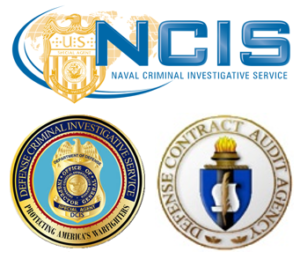 Bobby Pitts, 48, of Chesapeake, Virginia, pleaded guilty to one count of conspiracy to defraud the U.S. in connection with the NCIS’s investigation of Francis. Pitts is set to be sentenced on December 1, by U.S. Magistrate Judge Bernard Skomal of the Southern District of California, who accepted his plea on August 15, 2017. According to admissions made as part of his plea agreement, Pitts, as part of his duties in Singapore during the period August 2009 to May 2011, learned that the Naval Criminal Investigative Service (NCIS) and several civilian employees of the Navy were investigating whether Francis was over-billing the Navy on ship husbanding contracts. Pitts had access to internal Navy documents pertaining to investigative steps that the Navy was considering and admitted that he shared this information with Francis, with the intent to impede and obstruct the Navy’s oversight of its contracts with GDMA. On Nov. 23, 2010, for example, Pitts forwarded to a representative of GDMA an internal Navy email discussing FISC’s intention to contact officials with the Royal Thai Navy to determine whether GDMA had been billing the U.S. Navy for services in fact rendered by the Thai government. In pleading guilty, Pitts admitted, among other things, to working with Francis and other foreign-defense-contractor personnel to help them cover up GDMA’s overcharging practices with respect to providing protection to U.S. Navy forces deployed in the Western Pacific. So far, 18 of 27 defendants charged in the U.S. Navy bribery and fraud scandal have pleaded guilty. All defendants are presumed innocent unless and until convicted beyond a reasonable doubt in a court of law. The case is being prosecuted by the Fraud Section of the Justice Department’s Criminal Division and Assistant U.S. Attorneys from the Southern District of California. Two former executives of foreign defense contractor Glenn Defense Marine Asia (GDMA) were sentenced on August 12, 2107 for conspiring to submit bogus claims and invoices to the U.S. Navy in an effort to win contracts and overcharge the U.S. Navy by tens of millions of dollars as part of a years-long corruption and fraud scheme. In the latest conviction, Neil Peterson, 39, and Linda Raja, 44, both of Singapore, were sentenced to 70 and 46 months, respectively, by U.S. District Judge Janis L. Sammartino of the Southern District of California. Both worked as chief deputies for GDMA, which was owned by “Fat Leonard” Francis. Peterson served as the vice president for global operations for GDMA and Raja served as GDMA’s general manager for Singapore, Australia and the Pacific Isles. Both defendants were arrested by authorities in Singapore at the request of the U.S. government and were extradited on Oct. 28, 2016. They each pleaded guilty in May 2017 to one count of conspiracy to defraud the United States with respect to claims. According to admissions made as part of Peterson’s and Raja’s plea agreements, they and other members of GDMA’s management team created and submitted fraudulent bids that were either entirely fictitious, contained falsified prices supposedly from actual businesses, or fraudulently stated that the business shown on the letterhead could not provide the items or services requested. In this manner, Peterson, Raja and other members of GDMA’s core management team could ensure that GDMA’s quote would be selected by the U.S. Navy as the supposed low bidder. GDMA could thus control and inflate the prices charged to the U.S. Navy without any true, competitive bidding, as required, they admitted. Peterson and Raja admitted that they and other members of the GDMA management team knowingly created and approved fictitious port authorities with fraudulently inflated port tariff rates, and approved the presentation of such fraudulent documents to the U.S. Navy. GDMA thus charged inflated prices to the U.S. Navy, rather than what GDMA actually paid to the bona fide port authorities. For example, Peterson and Raja admitted that for the visit of the U.S.S. Bonhomme Richard to Kota Kinabalu, Malaysia, in or about October 2012, under the direction of Peterson and other members of GDMA’s core management team, false documents and inflated invoices were presented to the U.S. Navy. The full amount billed to the U.S. Navy for this visit was $1,232,858, of which approximately $877,413 was fraudulently inflated, Peterson and Raja admitted. Peterson and Raja admitted that losses to the U.S. Navy exceeded $34,800,000 as a result of this scheme. So far, 17 of 27 defendants charged in the U.S. Navy bribery and fraud scandal have pleaded guilty. All defendants are presumed innocent unless and until convicted beyond a reasonable doubt in a court of law. The DCIS, NCIS and the Defense Contract Audit Agency are continuing to investigate.